I don’t usually write about earnings announcements, but Workday’s $436.7 million Q4 which summed up a $ 1.57 billion year deserves attention. A few years ago, I would have said Workday needed a bunch of industry applications, not just its HCM and financial products to deliver 35% yoy growth. But it continues to deliver that and has done so by moving even more up market – in this quarter it announced wins at three Fortune 20 companies, Amazon, BP and Walmart. 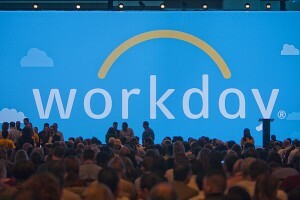 Apart from excellent execution, Workday is also benefitting from the tailwind of enterprises accelerating their dismantling of their on-premise edifices. In SAP Nation, I had identified several “coping (diversification) strategies” as enterprises looked to escape the crushing burden of their on-premise systems. Those included third party maintenance, “two-tier ERP” and “Ring Fence with clouds” among other strategies. It’s happening in other on-premise settings not just around SAP ECC. Each of those strategies has helped a handful of vendors. So Rimini grew 42% yoy on the back of the third party maintenance coping strategy. Workday has benefitted from the “Ring Fence” strategy. Workday is on the trajectory of another beneficiary of that strategy, Salesforce and poised to become the second cloud vendor to report over $ 2 bn in annual revenues. As companies look at digital transformation efforts they are waking up to the amazing range of cloud, mobile, analytical, automation technologies they can leverage to dramatically reshape their business processes and business models. “Buy small and integrate” is replacing the “buy suites” mindset of old. Not every CIO is there yet, and the big vendor and outsourcing sales machines keep promising them the shiny next-gen suite. In SAP Nation I cataloged 50 or so case studies. Four years later I can say with confidence thousands of enterprises are trying one or more of the strategies, with “Ring Fence” the single most popular strategy. Workday’s results confirm the trend.